Stretches to Make Your Skating Workout Better! Workouts can come in a lot of different forms. What one person does to stay fit may not be the same as another. 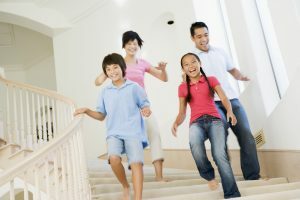 While some prefer “traditional” workouts such as running or weigh lifting, others may prefer a “non-traditional” form of a working out by participating in a fun, unique activity. Skating is a great form of exercise that uses the entire body and that you can have fun with. It doesn’t matter if you go to an indoor skating rink, skate on a trail or down the sidewalks of your neighborhood; wherever you’re skating you’re getting in a great workout that your body will definitely benefit from. It’s important to prepare your body for this aerobic exercise to ensure you don’t cramp up or cause other health issues. There are certain precautions that you can take prior and after skating that you will help keep your body safe… included in that is stretching before and after your roller skating session. Try these stretches out before your next visit to Skate World Lakeland! As New Year’s approaches, millions of people will be making New Year’s resolutions and preparing to start the year off right. Skate World in Lakeland, FL knows just how much you want to make a change in the new year and we are here to help. Our fun and exciting skate center can help you keep a range of different New Year’s resolutions. If you want to spend more quality time with your friends and family then Skate World is the place to go. In addition to standard skate nights, you can plan to go to one of the special events throughout the year, such as our Christian Skate nights that are ideal for the entire family. Skating is not just a lot of fun, it also can help you get into shape and lose weight at the same time. Studies show that skating can improve your heart health, endurance, and mood. It also can help you burn up to 600 calories in just one hour. Best of all, skating has a 50 percent less impact on your joints than running does. Have you made the resolution to give back this year? Skate World can help. Plan a special fundraiser with us. At least 25 percent of all sales from admissions, rentals, and cafe purchases will go directly to your charity. Our experienced staff will help you plan the entire event. It’s never too late to try something new. If you have never learned how to skate or you haven’t skating since you were a kid – now is the time to learn. Skate World in Lakeland, FL offers affordable skate lessons for people of all ages. Holiday gifts don’t always have to be material. Some of the most memorable gifts focus on experiences rather than physical items. These types of gifts provide kids with much more value, as well as memories to cherish for years to come. At Skate World, we offer holiday gift cards in Lakeland that make the perfect gifts of experience. Studies have shown that these types of gifts provide kids with more benefits than material presents. Kids learn to appreciate creating memories and spending time with friends and loved ones instead of sitting around playing video games. A gift of experience also teaches kids to place less value on material items in general and more value on quality time with others. Skate World’s gift cards give kids the gift of a fun day at the rink, where they can practice their roller skating skills or just enjoy hanging out with friends and family. We also have skates available, which make great presents for kids who love skating on a regular basis. Keep in mind that kids can also enjoy treats at our cafe when they need a break from skating around the rink. We’re open from 12pm-4pm from Dec. 26 through Dec. 31. We have additional hours of 6pm-9pm on Dec. 27, 6pm-9pm on Dec. 29 ,and 7pm-10:30pm on Dec. 30 and 31. On New Year’s Eve, we’re having two balloon drops to celebrate the holiday. On New Year’s Day, we’re open from 2pm to 5pm. We’re also offering a New Year’s Day special of $2 admission and $2 skate rentals. Please visit Skate World for more information on holiday skating. There are a lot of ways for kids to have summer fun. While kids enjoy a variety of activities, they absolutely go nuts for Skate World Lock-ins. Why do they love them so much? Here are just a few of the many reasons. When you take your kids skating, they have fun for an hour or two, and then you go home. 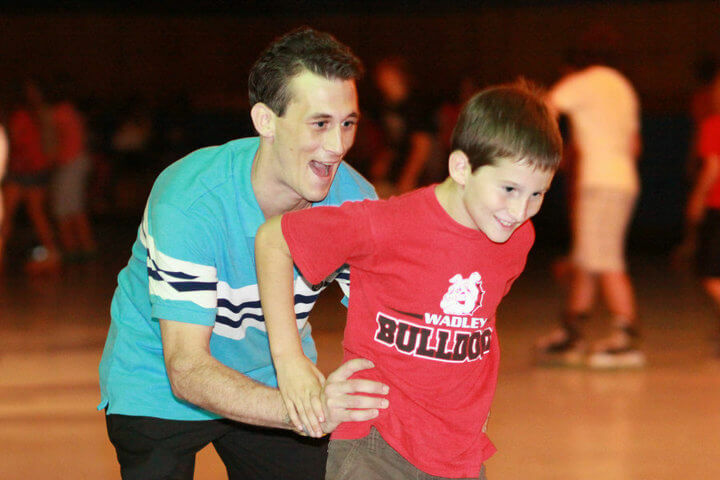 At a Skate World lock-in, they get to skate all night long! They don’t have to worry about the fun ending just when they’re getting into it. Kids love games and a lock-in at Skate World has plenty. Not only can they enjoy the variety of games in the arcade area, but we play games on the skating rink floor as well. What kid doesn’t love pizza? Nachos? Drinks and snacks? Kids love the lock-in because they will never go hungry. They can fill up on their favorites and then head back to the rink for more skating to burn it all off. A lock-in at Skate World is a great chance for kids to spend long periods of uninterrupted time with their friends. They can skate with their buddies for an hour and then chat over soda and popcorn. They’ll have a lot of stories to tell you about a night of roller-skating with their friends when they finally get home. Attending an all night event at Skate World isn’t something any kid does on a daily basis. And that’s why kids love it! It’s something different from their normal summer fun, and they won’t forget it anytime soon. 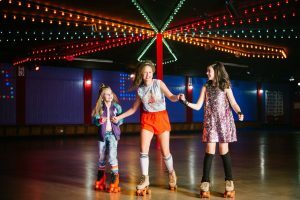 There are a lot of other reasons why kids love to stay at Skate World way past their normal bedtime, but these five reasons are enough! Want to learn why parents love lock-ins? Call Skate World.